International educators, service providers, and student recruitment agents from Southeast Asia. The 3rd annual ICEF Southeast Asia takes place in Ho Chi Minh City, Vietnam, and gives international educators and service providers the opportunity to meet top-quality student recruitment agents from Vietnam, Thailand, Malaysia, the Philippines, Indonesia, Cambodia, Singapore, and Southern China. The ASEAN region contains some of the fastest-growing economies in the world. In Vietnam, the middle class is expected to grow from 12 million in 2012 to 33 million by 2020. Large youth populations throughout the region will continue to drive high demand for quality education and training services. Agents attending the event will represent the best and most active agencies from across Southeast Asia, providing an opportunity to establish a robust network in these growing markets. Before the event, educators and service providers will be able to view agent profiles and schedule up to 36 meetings with those agents best suited to their recruitment needs. In addition, participants may also attend seminars and professional development sessions covering a wide range of topics such as socio-political developments, visa processing, and industry trends. ICEF Southeast Asia is the most efficient way to establish partnerships with quality student recruitment professionals and to develop a successful marketing strategy tailored to this region. International educators (universities, vocational schools, boarding schools, language schools) looking to meet with quality agents from across Southeast Asia. High quality, carefully-screened agents from across Southeast Asia looking to meet with educators from all over the world. The event enables you to hold up to 36 pre-scheduled, one-to-one business meetings with quality student recruitment agents, as well as other educators and service providers from around the globe. These appointments are 25 minutes in duration and let you create new contacts and maintain existing relationships. The programme also includes meals, options for refreshment breaks, and evening functions, all of which offer further networking opportunities. 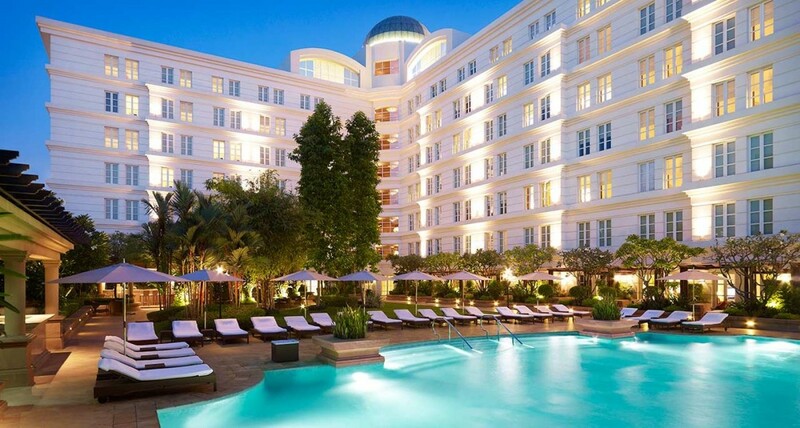 The InterContinental Saigon is known as Asia’s best city hotel and the best conference facility in Vietnam. 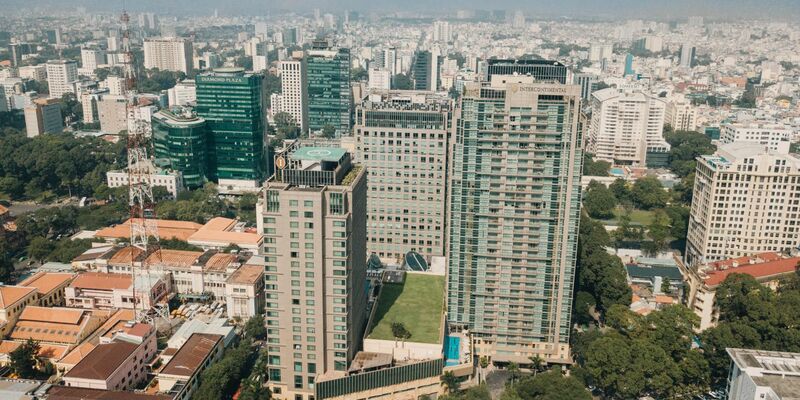 Located in the heart of Ho Chi Minh City, the InterContinental Saigon Hotel offers world-class amenities including spacious guest rooms, international and local restaurants, fitness centre, and exceptional business and conference facilities. Rates available for dates from and including June 17th, until and including June 24th. Rooms can be booked until	June 6th, 2019 and will be allocated on a first-come, first-served basis. The Park Hyatt Saigon Hotel is located right in the heart of Ho Chi Minh City, on Lam Son Square overlooking the elegant Opera House. It is close to the business and entertainment districts, and in walking distance to the city’s cultural and historical sites. The hotel is 8 minutes walking distance to the InterContinental Saigon. Rates available for dates from and including June 16th, until and including June 25th. Rooms can be booked until	May 23rd, 2019 and will be allocated on a first-come, first-served basis. To ensure that you are well prepared and make the most of the event, it is important that you read the Educator & Service Provider Information Pack below. Nationals of a number of countries and regions that have visa exemption arrangements with Vietnam may visit the country without a visa for a certain period of time. Please see Exemption of entry visa to Vietnam. Please check regulations with the respective embassy carefully and well ahead before travelling. More information is available here. Should you need a visa to enter Vietnam and require a letter of invitation, please complete the Application for a Business Visa Approval Letter. The approval letter issued by Vietnam Immigration will allow you to apply for a visa on arrival in Vietnam. The cost for a single entry approval letter is €40 (payable to ICEF who will request the letter on your behalf) and US$ 25 payable in cash directly to Customs & Immigration in Vietnam. I have been to four ICEF events and I believe this was the most productive! The people were awesome and I would recommend this event to anyone. This is the second time we have attended this event. We found the pre-event material informative and detailed. The ICEF staff are always easy to approach and prompt in their responses to enquiries. We have gained excellent intelligence on the markets we recruit from in the seminars, along with other very useful industry information. The event is well organised, with pre-screened, high-quality education agents. We have made some very good contacts via the informal networking opportunities. I recommend attending these events to providers seeking to expand internationally. The seminar presentations were informative and the ICEF team were at our disposal around the clock. It was a full-on conference with many agents across Asia attending. Their enthusiasm to recruit international students to New Zealand was overwhelming. We believe the partnerships forged between us and the agents will benefit both parties, and we look forward to working with them further. This was my first time attending ICEF Southeast Asia, and I would strongly recommend this event to other agents and service providers – we had great feedback from both agents and schools. My schedule was booked out within a week of the online system opening, and it was jam-packed with fantastic agents. The quality and variety of agencies was awesome and provided a lot of opportunity to connect with these markets. I highly recommend this event to all educators to make meaningful connections in Southeast Asia.